Help the mother-to-be gather diapers by throwing a "Diaper Raffle" at your baby shower. 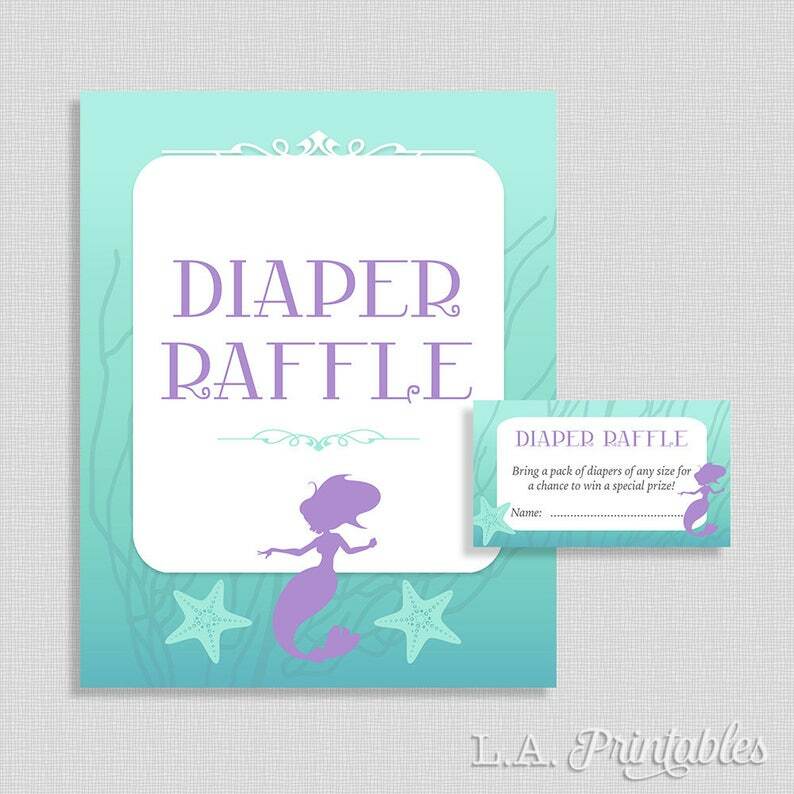 Print and mail the diaper raffle tickets along with your baby shower invitations. Print out some extra tickets to have at the shower in case your guests forget their tickets. JPG & PDF files. Each ticket measures 3.5 x 2 inches with 8 tickets on a 8.5 x 11 inch sheet. Sign measures 8x10 inches. *This is a digital file that you print yourself. No physical items will be shipped. Perfect for the shower I was hosting. No problems downloading. My granddaughter and her guests loved them. Thank you.